Nose: Winter flowers, heather, candied fruits, spontaneous and matured. Palate: Tender viscosity, elegant, harmonized, notes of pomegranate, generous and persistent. The S.O.B. XO Artisnal Christohe F by Domaine Fillioux Grande Champagne Cognac is a wonderful example of all that the premier terroir of the region has to offer. The chalky soils of Grande Champagne impart a unique character on the grapes that grow here. And when you combine this with the fact that Christophe F by Domaine Fillioux is a truly artisan house, then you know you're onto a winner. The brand of S.O.B. is the Selection Olivier Blanc - a small, extremely select group of traditional hands-on Cognac houses chosen by Cognac guru, Olivier Blanc. This Cognac has been created in that manner of old, whereby everything to do with the process is carried out by the house itself, without any of the trappings of mass production. 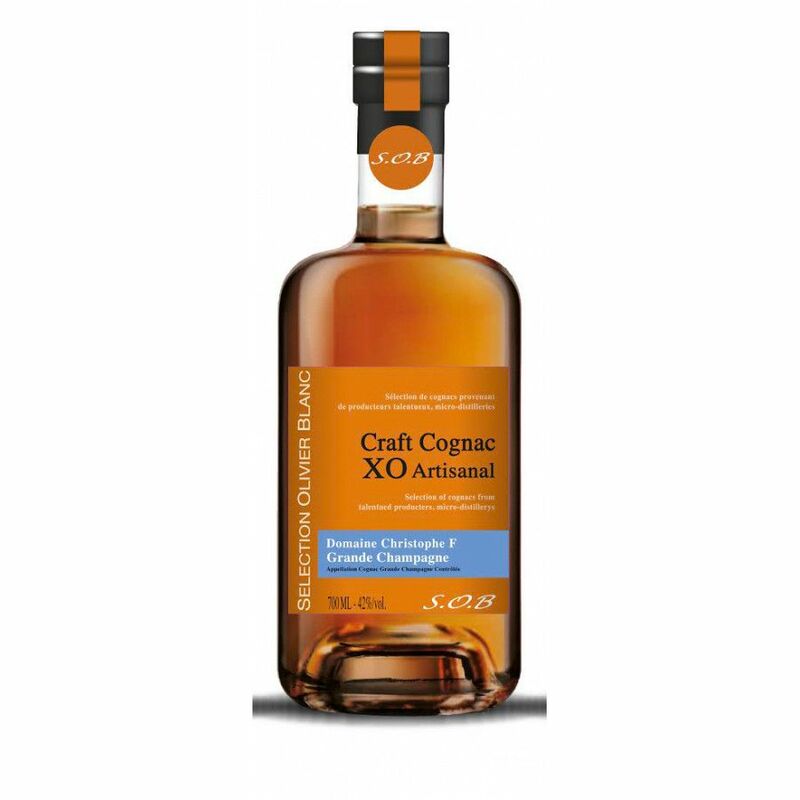 The end result is a wonderfully mature, XO quality Cognac that brings notes of winter flowers, pomegranate, candied fruits, and fragrant heather. For anyone who wants their tipple to take them on a roller coaster of a sensory journey, then you won't be disappointed. Although the after taste is a bit rough, I really, really like this new blend. Congrats! Lovely flower and fruit, bravo. Great value for money. I tasted this Cognac in a blind tasting with other XO cognacs, and this bottle easily won. The nose is fantastic, the palate super interesting & balanced - but not flat. Also a nice, bright color. Value for money on this one is excellent. Bravo S.O.B. !